Greetings & welcome to 2017! It’s that time of year when I gush about the various bits of music, news, etc that entertained or informed me during 2016 and left me… pondering, laughing, crying, fuming – feeling alive basically. I’m including you because I believe you’ll enjoy, be mildly interested, or at least not upset. In fact lots of you have received such a message in the past. If this is the first time your receiving I hope you don’t mind my sharing and invite and encourage you to share your bits with me + tell me what you think of my bits. Naturally if you wish I hadn’t sent this and prefer to be removed from future such missives just let me know and there will be no hard feelings. So, 2016 was a heck of a year and 2017 promises to be just as exciting and engaging… HANG ON, REMEMBER and let’s do our darndest to make it count! Now on with the flotsam and jetsam. I do mean albums as I believe the music listed below was created with the idea of listening in one sitting and I highly encourage you to try to find the time to let them work their magic. You might notice that the theme/mood throughout many albums on this list is a bit… dark – I hope that you also see that there is beauty and magic. I apologize for any ads you encounter on YouTube. 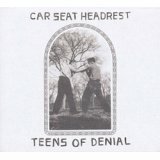 Teens of Denial – Car Seat Headrest Have you heard this album yet? WHAT? You haven’t! Criminal… as in criminally good. Seriously, I haven’t played a straight ‘rock’ album as continuously, nor raved about ad naseum, etc since perhaps college?! Really, it’s that good. It starts with Fill In The Blank and never lets up. Here’s another track so you appreciate the range. 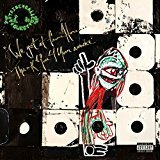 We Got It From Here… Thank You 4 Your Service – A Tribe Called Quest Magnificently surpassing all expectations. We The People is addictive and necessary as is the entire album. Revolutionary music has rarely been so infectious – get the party started. 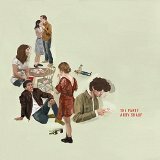 The Party – Andy Shauf A concept album and as such, once again supports my encouraging you to listen straight through. This record reminds me of Jim O’Rourke from a compositional standpoint while thematically it took me back to High School and reminded me how much I learned there that wasn’t in books. 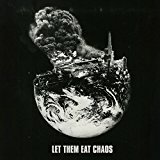 Let Them Eat Chaos – Kate Tempest (live performance of the entire album) It’s a concept album of spoken word poetry, hip-hop, beats, a bit garage, a bit pop – unique and WELL worth the investment of time to listen through in it’s entirety. It may seem bleak but it pays off with an inspiring resolution. Might I suggest a darkened room and perhaps headsets. 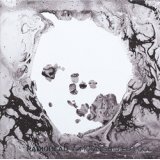 A Moon Shaped Pool – Radiohead This may be their best album which is a bold statement given their catalogue. Album opens with Burn The Witch and I recall playing this for the first time thinking I would just sample and then listen to the album later that evening… by :19sec I was hooked so I cleared my schedule and was entranced for the next 53mins. I am running out of superlatives and praiseworthy adjectives – shimmering, tragic, chilling and magnificent come to mind. Daydreaming is all of this and more. 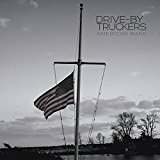 American Band – Drive By Truckers What It Means is just one of the exceptional tracks on American Band and they truly deserve the audacious album title. I have been a fan since their epic A Southern Rock Opera debut and they rarely disappoint; this year they have created a brash yet intimate summation of America in 2016, not so much as a superpower but more as a dysfunctional neighborhood. Blackstar – David Bowie His bittersweet masterpiece. 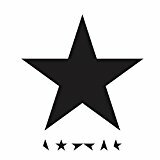 Get beyond thinking about his death and instead appreciate Blackstar as one of Bowie’s greatest albums. I’ll let the music speak for itself. 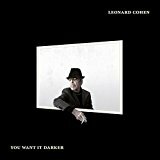 You Want It Darker – Leonard Cohen Although my melancholy deepens somewhat when I listen to this album, I once again find beauty. Similar to Bowie’s album it can be overwhelmingly somber at times (hey it’s Leonard Cohen!) these compositions are so much more than sad, or depressing; they inspire me and make me sigh and yes, smile. 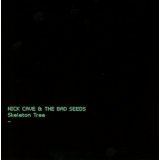 Skeleton Tree – Nick Cave OK, do you really want it darker, then I saved the best for last. Aching and transcendent don’t begin to describe my favorite album of the year. Where Cohen was ruminating over love and death, Cave draws from the same pool but welcomes good and evil to the party. Jesus Alone is where the album begins and the place for you to start as well. Once again I advise you to seek the album out in its entirety. If you want more Nick Cave/Warren Ellis then you’re in luck as they also composed the 2016 Hell Or High Water Soundtrack, which is phenomenal as well. 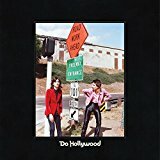 Do Hollywood – The Lemon Twigs The previous few albums are beautiful yet heavy stuff eh? Time to push back the darkness and I can think of no better album from 2016 to make you smile than this seeming blast from the past – check out These Words. Think Zappa meets Beatles & Brian Wilson – yeah, they’re that good! Yes they’re brothers and yes they’re teenagers. Yes, yes in fact they did write and perform all of the music. Now stop asking questions and go listen to the music. Invisibilia – although 2015 was a better season for them.